I'm currently saving up for a deposit on a house so budgeting has played a huge part in helping me with my finances. 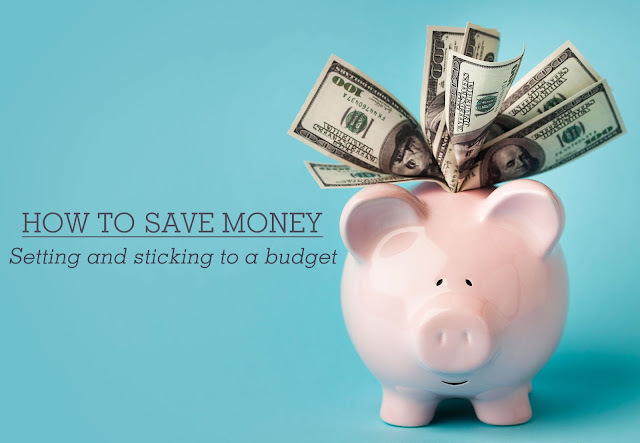 Along the way I have picked up a few tips and tricks that really help when it comes to setting a budget and sticking to it. The first thing you do is take a look at your income. It might be the exact same every week or it might fluctuate depending on how many hours you work. Figure out what your average weekly pay is and base your budget off that. Next you want to write down every single expense you have that is a non-negotiable. These include; rent, car repayments, groceries, monthly phone bill, electricity, insurance payments etc. Deduct all of these costs from your income and keep that number. See below for an example if you don't get what I mean. So now that you are left with your amount (as an example here we have $600), figure out how much you want to save and how much you want to divide up through other costs. So if you commit to saving $300 that week, now you can split the remaining $300 between other things you want to be able to afford like entertainment costs, eating out, a shopping allowance to buy a new outfit for the weekend etc. Make sure that the $300 you are saving automatically goes into your bank account the day you get paid so that you aren't tempted to touch it. $300 saved = $300 remaining to split across leisurely activities and things. Now that you have it down on paper how much you are making, how much you are saving and what is leftover to spend...all there is to do is stick to the budget. I do this by keeping track of all my expenses. Every time I buy something I write it down on an expense sheet and colour code it. For example if I went out to dinner with a friend, I would write down the cost and highlight it green since that is my "eating out budget" colour. This will give you a fair idea of how you are tracking throughout the week so that you don't go over budget. If you've thought of all your expenses and also accounted for anything extra that might pop up like a night out with the girls, your budget should be pretty easy to stick to.